You’re probably wondering why I would voluntarily torture myself like this. And to be honest, there is a part of me wondering the same thing. But there is another, bigger part of me who senses this practice is somehow necessary—at least temporarily—to get a handle on my time and priorities again. On the internet, you’ll find all sorts of people praising time tracking. They most often use it as a productivity strategy—a way to assess or budget one’s time usage with the intent of carving out more space for creative projects. But I wasn’t interested in increasing productivity so much as reclaiming my sanity. This mode is a dangerous place to camp out in, at least for me. For some reason, when I’m busy and overwhelmed, instead of recalibrating and scaling back, I maniacally shovel even more onto my plate. I think I do this to avoid facing the painful reality that time on this earth is a limited commodity. I’m always straining for the infinite, the impossible. 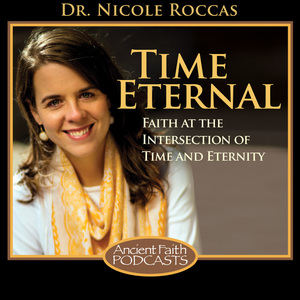 When we talk about mortality, our minds often jump to end-of-life issues. We think of mortality as something we will wrestle with then and there, on our deathbeds. We forget that there is mortality dripping from every moment. That there is death and finitude in each decision we make about our time—choices, like our lives in general, are by definition limited and limiting. Shoving more stuff into my finite timeframes—stuff I can’t possibly finish or follow through on in any meaningful way—numbs me from the jagged truth of my mortality. It provides a false and fleeting shelter from the wound of inadequacy. Frankly, I feel powerful when I have more in my mouth than I can chew, when I’m pretty much choking on all the expectations I’ve built up for myself. This time around, the straw that broke the camel’s back was when I found myself skipping sleep (like, kind of a lot of it) to finish all the things that supposedly needed to get done. And I didn’t even realize what I was doing to myself until I was a crabby, depressed snarl of a person for days on end. Until my world had become black and bitter. When we try to run from our mortality, it will find us. It will remind us we are dust. My mind cleared somewhat after I started sleeping again. But I knew I couldn’t keep going like I had been. Something had to give—my pride, my ego, my priorities, my time, something. Whenever I tried to imagine a way to scale back on some of my activities, my mind drew a blank, like a blind person being asked to describe a sunset. I had spent so long trying to convince myself I could do all the things all the time that I could no longer rank even basic priorities in my mind. Everything—from dusting the living room to going to work to sleeping enough—just felt equally, demandingly urgent. At all times. I don’t know why or how I came to time tracking. I’ve recommended it to a few clients in similar predicaments, and a few bloggers I like swear by it—who knows. Whatever the case, yesterday—a day after my husband and I had returned from a short vacation—I woke up, turned on the app, and started tracking. I figured I’d try it for a week or two (that’s what other people have recommended). I assumed that’s how long it would take to gather enough “data” and start making changes in my priorities. It’s been scarcely more than 24 hours, and already I’ve noticed a huge shift in the way I approach time and tasks. Mostly, it is forcing me to be way more observant of all the moving parts of my life, the barely perceptible choices I make in shifting from one activity to another. For the app that I’m using to do it’s time-tracking thang, I have to open it and tell the app what I’m doing. If I’m writing an email and decide to check Facebook, I first have to open my phone, then open the app, then press a few buttons to shift activities. If I’m in the middle of making dinner and am suddenly seized with a frantic urge to load the laundry machine, I need to enter that into the app. I can assure you: in the realtime of real life, this is annoying and highly (highly!) impractical. But I think that’s the point, or at least further proof that God works in mysterious ways. All of this opening and button-pressing is forcing me to notice the moves I make in life, to be vigilant about tasks I encounter and the little, anxious thoughts that pull me outside of them. So far, this is helping me reconnect—in a tangible way—with the inherent choice lurking behind every moment. Having to take those 15 seconds to enter my next choice into an app gives me just enough headspace to pause and ask if this task is what is truly needful, or if I’m just following my anxiety and inadequacy. Probably, if I were more saintly, this would be the part where I talk about how all of this has helped me to pray more and stuff. In reality, I’m only one day in. (Also in reality, I don’t think actual saints go around broadcasting their prayer skillz.) Little has changed in terms of the things I do throughout the day. Strangely, though, this simple act of pausing, of entering my tasks into a random app, has momentarily slowed my experience of time down. For the first time in a long while, I feel like I can breathe again, notice things before they pass me by. Assert my volition into the small corners of my life again. Modern pop-psychology would call this mindfulness, I suppose. The Fathers might call it the beginning of nepsis, spiritual watchfulness. Whatever it is, it feels like the beginning of something good. A few days before I started tracking my time, I briefly experimented with several different (Android) apps on my phone, ultimately deciding on one called Time Planner. (Don’t be deterred by the rampant grammatical errors in the description of the app—it’s highly intuitive and image-driven, so you don’t encounter these language issues once you’re actually using it.) A limited version of the app is free, but I opted for a three-month subscription ($.99) so I could use all the features. The night before I was going to start, I spent some more time entering a bunch of typical day’s activities and categories into the app, then fooled around with the various methods of tracking (manual versus quick tracking). You do have to decide how specific you want to be about the different activities in your life—do you want to count email and Facebooking as separate activities or lump them together under “Internet” or “Screentime,” for example. In the end, I opted for more nuanced, specific activities because I felt like it would give me a fuller picture of what was going on in my life. The next day, it was up and at ‘em. I did have to add a few more activities into the system as the day progressed—things I hadn’t thought of—which occasionally slowed me down because I had to enter them in before I could begin tracking them. But the theme here is that slowing down is good, and after a few hours I pretty much had the vast majority of daily activities entered. To give you an idea, here are the larger categories I created: Work, Home, People, Self, Health. Here are some of the activities I put under these categories: Editing, Writing, Commuting, Planning, Cooking, Cleaning, Laundry, Getting Ready, Personal Email, Work Email, Husband Time, Facebook, Talking with Friends… Yes, I also included categories for prayer and Church, which admittedly felt weird because I don’t like to think of prayer as something you just check off a list. At the same time, prayer is (and should be) a part of my day, so I entered it. Finally, I created an activity called “In Between,” for those little moments where you’re not really doing much but can’t really avoid—waiting in line for something, waiting for the tea kettle to boil, etc. Interesting post with a different perspective. 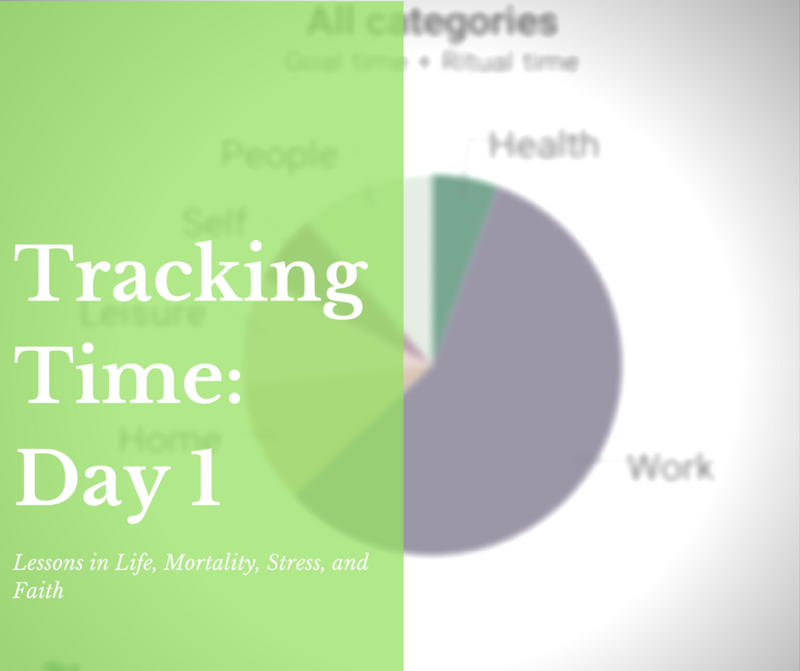 I wonder how your perception of how you spend your time will vary from what the tracking application will measure. Your paragraph -“…When we talk about mortality, our minds often jump to end-of-life issues. We think of mortality as something we will wrestle with then and there, on our deathbeds. We forget that there is mortality dripping from every moment. That there is death and finitude in each decision we make about our time—choices, like our lives in general, are by definition limited and limiting…” would make an excellant starting point for a book. For iPhone users, I just found ATracker, which looks good on the surface. I’ll let you know when I’ve tried it out. 1) I would love to read that book, so please write it. 2) A Tracker for iPhone is a good alternative. I like the idea of knowing how my time is spent, but I’m worried that I will spend too much time actually tracking stuff. Trying it anyway. Let me know how it goes! Depending on the app, it IS a bit cumbersome entering everything. I recommend doing this no more than a few days or for one week at most. Trying to do it every day would lead to burnout, but using it temporarily as a way to check in with your habits is really useful!